Manik and Palak wed on the beach of a luxury resort in Hua Hin, Thailand, and were serenaded by lovely weather, cool breezes, picture-perfect views and the music of the calm waves. 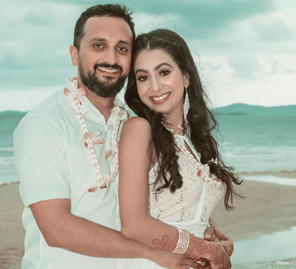 Manik and Palak both love the beach and decided to host their wedding at one of the most luxurious resorts in Thailand called The Palayana, Hua Hin. Take a peek into their nuptials planned by ‘To The Aisle Weddings’ and read more details as shared by the bride. Palak shares, “Manik and I have known each other since secondary schooling but parted ways once we went to different colleges. We completely lost touch for three years after that, but we were destined to meet again via common friends. 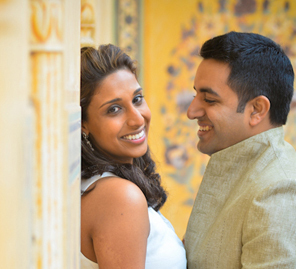 Over time, Manik fell in love with me and gathered up his courage to express his feelings. I could not think of anything better than dating one's best friend! 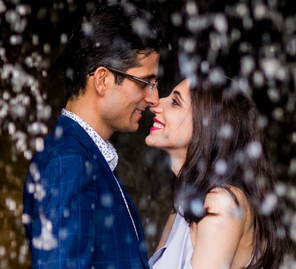 Manik planned the cutest proposal - he popped the question over WhatsApp, and I accepted it on WhatsApp itself. Our parents were quite supportive, but they resisted a bit at the start since our horoscopes did not match. However, they ditched the superstition as they knew we bonded well." “We opted for a destination wedding so that all our family and friends could enjoy every moment there freely without any hassle of arranging aspects of the wedding themselves. We got in touch with ‘To The Aisle Weddings’, The Wedding Galore and Peera Pach, and they all took care of all the minute details. They suggested one of the most beautiful properties in Thailand - The Palayana Hua Hin. Since Thailand is very accessible, it was easy for our guests to attend the wedding after flying in from Europe, Canada, USA, Australia, and India. Manik visited the property with the 'To The Aisle Weddings' team after we picked Thailand and he fell in love with the resort. The location was exotic, all the rooms offered fantastic views and the food he sampled at the tastings impressed him." “The mehndi function took place by the poolside. It had a nifty nautical vibe with the beautiful moonlight, calm sea waves and a refreshing evening breeze. The intricate floral decor included hydrangeas, lilies, and roses that added elegance to the ambiance." “Our grand wedding took place at the beautiful beach with the serene crystal blue sea as the backdrop. The powder blue hydrangeas and peach roses elevated the aura of the location and made the environment seem magical." The theme for this grand party was vintage and rustic. 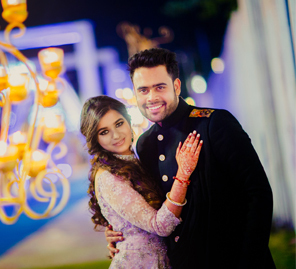 Palak, Manik and their guests wore dazzling outfits that complemented the decor which included interesting elements such as white dreamcatchers, fresh flowers, candles and the gorgeous yellow lights that illuminated the entire venue.